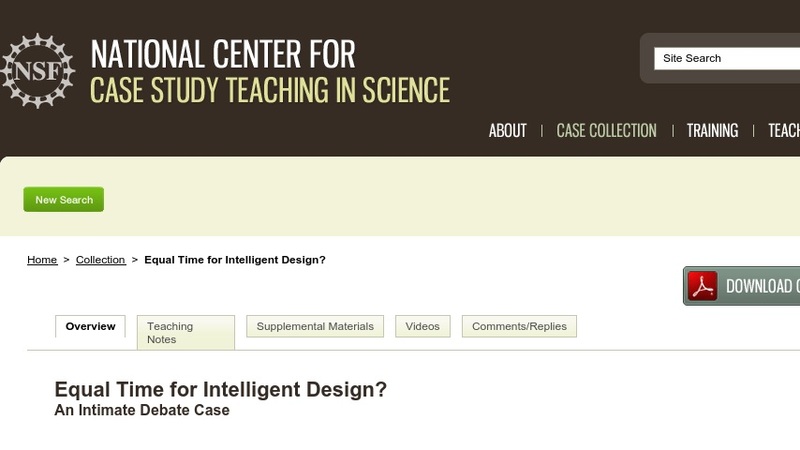 Whether Intelligent Design should be taught in a science classroom is a serious problem. This case study tackles the issue head-on by using intimate debate, a pedagogical structure in which small student groups are subdivided into opposing student pairs that take turns arguing each side of the issue. There is no audience for these concurrent mini-debates, and the session concludes with groups reaching consensus. This case study would be appropriate in general biology or advanced courses where the focus is on evolution.